At a time when corporate scandals and major financial failures dominate newspaper headlines, the importance of good risk management practices has never been more obvious. The absence or mismanagement of such practices can have devastating effects on exposed organizations and the wider economy (Barings Bank, Enron, Lehmann Brothers, Northern Rock, to name but a few). Today's organizations and corporate leaders must learn the lessons of such failures by developing practices to deal effectively with risk. This book is an important step towards this end. 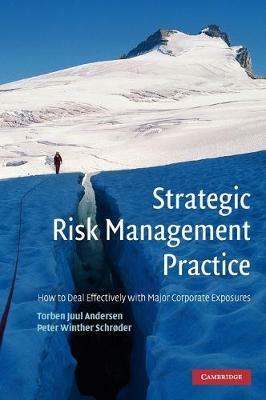 Written from a European perspective, it brings together ideas, concepts and practices developed in various risk markets and academic fields to provide a much-needed overview of different approaches to risk management. It critiques prevailing enterprise risk management frameworks (ERMs) and proposes a suitable alternative. Combining academic rigour and practical experience, this is an important resource for graduate students and professionals concerned with strategic risk management.